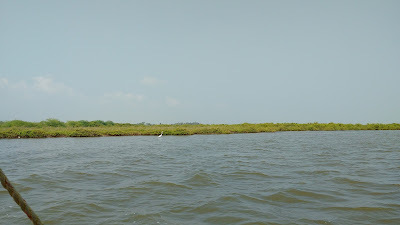 Pichavaram is a tiny coastal hamlet located in the Uppanaru river delta on the Tamil Nadu coastline. 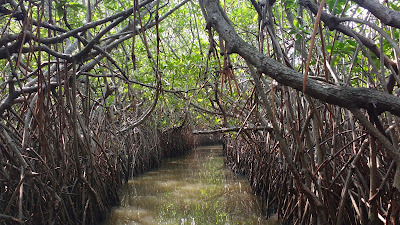 Its claim-to-fame is the adjoining mangrove forests. 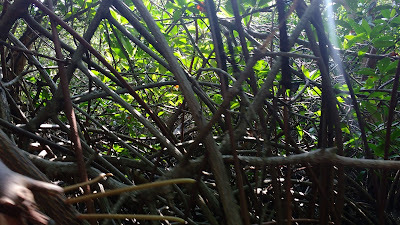 These forests are a protected sanctuary - second largest of its kind in Asia - and house a unique ecosystem that thrives in the low-lying marshlands. 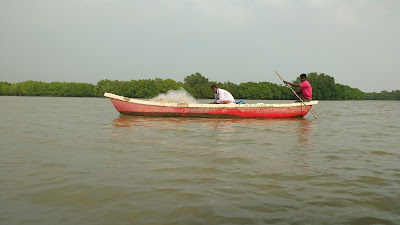 We did Pichavaram as a part of our Pondicherry trip around the Replublic Day weekend in 2016. 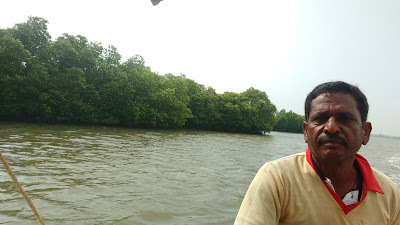 A major calling card of Pichavaram is of course, the mangroves themselves - and the narrow winding channels (waterways) that pass through them. 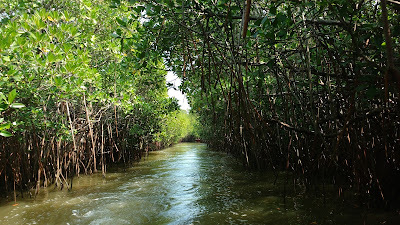 The forest is also rich in avian life that thrives on the marine fauna found aplenty. It is a common sight to see local fisher-folk waddle around in waist-deep water looking for their catch. 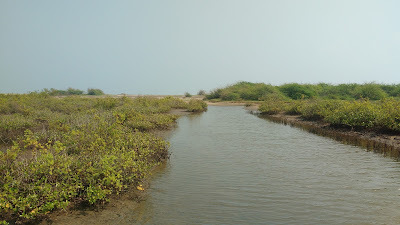 Pichavaram is located about 15km north of Chidambaram city, 5km off the coastal highway from Cuddalore to Chidambaram. From Pondicherry this distance is about 45km. We covered this on a rented 2-wheeler. Kille is the closest railway station. 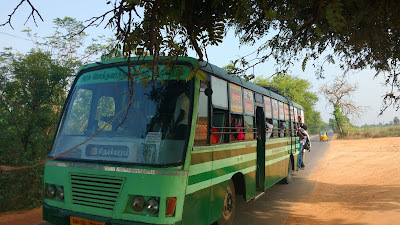 Local transport is easily available from here to connect to the sanctuary. We also saw a few private buses plying to Pichavaram. Not sure abut the timings or schedule. 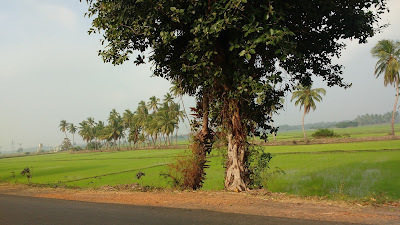 Accommodation options are also available at Pichavaram run by the Tamil Nadu state tourism office. Safaris are booked at a counter next to the entry gate. Different types of safari options are available, ranging from small row-boats to 8-man motor-boats and short 1km rides to longer 4km rides. The longer rides also cover the beach - which was not much to write about. Apparently, the larger boats cannot access the smaller channels (where it is the most fun). This restriction can be easily bypassed when the boat-man "suggests" that he would take us "for a ride". Bargain hard! This region presents itself as a unique eco-tourism destinations portraying an ecosystem far distant from what we can imagine to be. 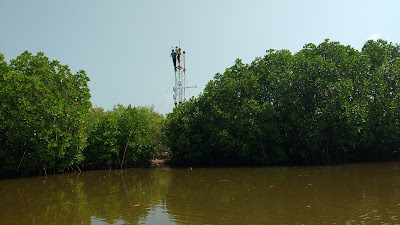 Similar ecosystems can be found in other areas too - even around Mumbai. But a lack of awareness has lead to rampant destruction (read reclamation) to the point of it being endangered in urban and semi-urban areas. Superb! 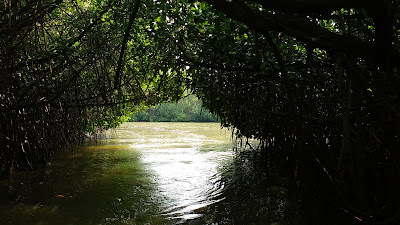 We missed Pichavaram but did go to Point Claimer Wildlife Sanctuary! Wow.... such a nice place. Lovely pictures.